Have a Heart – A Benefit for Quest Center for Integrative Health will take place at The BeerMongers on Saturday, February 16, 2019. 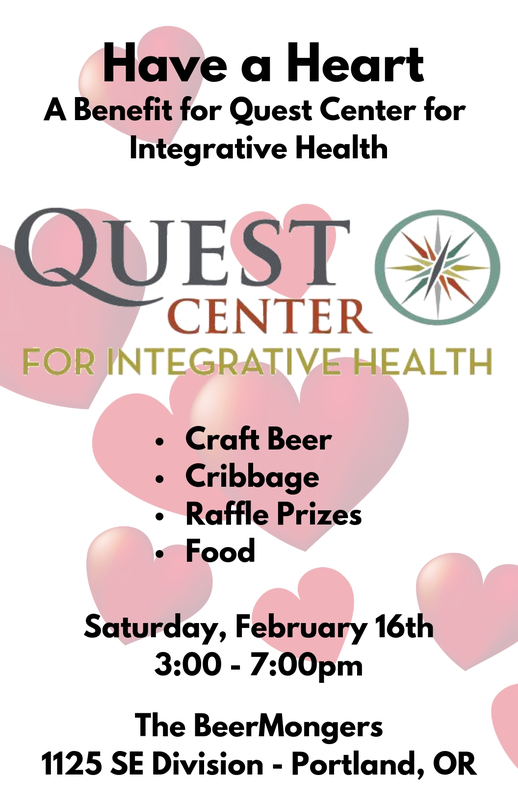 This charitable fundraiser for the Quest Center for Integrative Health will take place from 3:00-7:00pm and features craft beer, cribbage, raffle prizes and food! Here’s a preview of what will be raffled off on Saturday, February 16th. Plus several gift cards packaged together from Woodstock establishments, Division establishments, and Burnside.